We are a regional alliance leading strategy to preserve, improve, and expand nature and quality of life. By connecting leaders in conservation, health, business, science, and beyond, we tackle challenging issues to ensure a resilient region. Building on a 20-year legacy of collaboration, our broad alliance of member organizations advance work in Illinois, Indiana, Wisconsin, and Michigan. We are… diverse voices. green vision. united region. 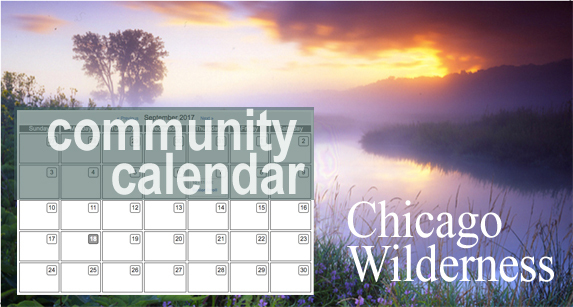 Learn about upcoming Chicago Wilderness meetings and events sponsored by our members.